Shared Value is an economic management concept that links the improvement of social conditions to a company’s profitability. This concept was invented in 2006 by Michael Porter, professor of economics at Harvard University. He believed that corporate social responsibility (CSR) was not a sufficiently effective instrument to solve social problems, and that CSR principles are incompatible with the economic development strategy of companies, i.e. incompatible with their raison d’être. Indeed, companies rarely integrate social issues into their economic strategy and this greatly hampers their capital adequacy. Social issues are often dealt with on the side, to comply with legal standards or with the sole aim of overcoming obstacles that block operations or damage the company’s reputation. Porter defines the creation of shared value as the set of policies and practices that increase profitability and competitiveness of a company while improving social and economic conditions of the communities in which it operates. It is a concept that embraces not only strong societal principles, such as social and environmental responsibility and sustainable development, but also the purely economic principles of the capitalist model. To integrate these main principles, Porter proposes using the concept of “value”, which in economics means the profits related to the costs incurred. The objective of shared value in this sense is to generate economic “value” that benefits both the company and communities. Two types of intervention allow a company to achieve this goal: actions that deal with the needs of the community and those that provide concrete solutions to societal problems. In the spirit of Porter, these interventions are business opportunities. 1 – By reconceiving products and markets: this can open other business opportunities based on revenues from society and the environment. The company Intel, for example, has developed a technology training program with thousands of teachers around the world to promote the integration of technology in classrooms. This has also significantly increased the demand for computers in schools. 2 – By redefining productivity in the value chain: a company can increase the quality of its products and services, improve supply, optimize resource use and reduce costs. The Intercontinental Hotels Group has taken several measures to reduce energy consumption, water use, and waste production of its hotels. This not only had the effect of reducing the company’s environmental footprint, but it also greatly reduced the associated costs. 3 – By enabling cluster development: this also increases productivity of the local companies. The company Nestlé, for example, has developed an extensive program to assist and train local farmers in rural development. This initiative has been beneficial for Nestlé: the farmers being better equipped means they can better supply the company with high quality products. The concept of shared value adapts well to the context of the mining industry, which often operates in remote areas where social problems are daunting: inefficient transportation systems, deficient electricity grids, bad oil supplies, uneven food distribution, poor access to drinking water, etc. A mining company could, for example, build a medical facility for its internal needs by extending services to the surrounding communities. This would meet the needs of both staff and local communities. Or again, a gas company in a remote area could benefit from the development of local oil-supply companies to protect itself from price volatility and the unpredictability inherent in international distribution. Several companies, such as Chevron and Rio Tinto, are partners in the search for solutions based on this concept. FSG, a community for the practice of shared value, also has launched a study on its application in the extractive industry in July 2013. Unfortunately, major mining companies are still shy about taking initiative in this area. One of the reasons for this is that integrating the concept with even the economic policies of a company is a relatively complex process that requires constant communication effort and relationships with various internal and external stakeholders. The process also involves dynamic change at the very heart of the company business strategy, which can only work if the commitment is long term and supported by coherent internal policies. Nevertheless, the experience of the pioneering companies in this area shows the extent to which the exercise is worthwhile, because once applied, the concept of shared value offers huge potential, both economically and socially. How can we differentiate performance evaluation of a social investment program versus that of a business strategy such as shared value? Already a multitude of programs and techniques exist to measure social and environmental initiatives, such as external audits of organizations like the International Finance Corporation (IFC), or measurement standards such as the Global Reporting Initiative (GRI). These techniques are being increasingly adopted by companies and are an excellent means of controlling various initiatives while enabling continuous improvement. Different axes are considered, such as sustainable development, impact studies, damage to reputation and compliance measures. However, performance indicators make little or no reference to financial benefits that these social and environmental actions can generate. Shared value is what allows us to link a company’s social indicators with its financial indicators. Rather than eliminate the current measurement systems, Porter proposes their adaption and evolution to take into account the shared value strategies that are part of the company’s management plan. At Boréalis, we believe that information management systems that store, measure and report the majority of existing standards (such as the Boréalis software) can be easily adapted to incorporate the concept of shared value. To get there, one would match the information from various modules to specific indicators, linking social and environmental initiatives to business performance and profitability. 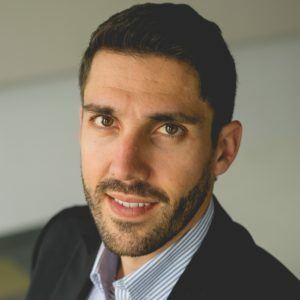 Olivier is a manager, CSR practitioner and analyst with over 10 years’ experience in strategic planning & advisory, corporate sustainability, software implementation and business development. He’s been with Boréalis since 2008, where his strategic, managerial and analytical skills are key to the success of many international projects. His ability to lead teams across cultural boundaries guarantees the success of operations for infrastructure projects. Involved in endurance sports, Olivier is each year participating in several biking and backcountry skiing competitions in Canada and United States.